Lawrence Schoen read 50 books of his goal of 50! Lawrence Schoen read 52 books of his goal of 50! Lawrence Schoen read 51 books of his goal of 50! Lawrence Schoen read 55 books of his goal of 52! Lawrence Schoen read 55 books of his goal of 50! Lawrence M. Schoen holds a Ph.D. in cognitive psychology, with a special focus in psycholinguistics. He spent ten years as a college professor, and has done extensive research in the areas of human memory and language. His background in the study of human behavior and the mind provide a principal metaphor for his fiction. He currently works as the director of research and chief compliance officer for a series of mental health and addiction recovery facilities in Philadelphia. 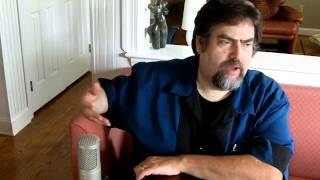 He's also one of the world's foremost authorities on the Klingon language, and since 1992 has championed the exploration of this constructed tongue and lectured on this unique topic throughout the world. In addition, he's the publisher behind a speculative fiction small Lawrence M. Schoen holds a Ph.D. in cognitive psychology, with a special focus in psycholinguistics. 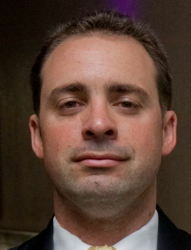 He spent ten years as a college professor, and has done extensive research in the areas of human memory and language. His background in the study of human behavior and the mind provide a principal metaphor for his fiction. He currently works as the director of research and chief compliance officer for a series of mental health and addiction recovery facilities in Philadelphia. 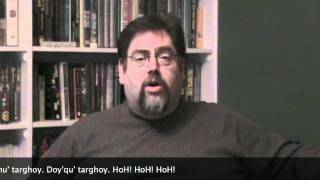 He's also one of the world's foremost authorities on the Klingon language, and since 1992 has championed the exploration of this constructed tongue and lectured on this unique topic throughout the world. In addition, he's the publisher behind a speculative fiction small press, Paper Golem, aimed at serving the niche of up-and-coming new writers as well as providing a market for novellas. In 2007, he was a finalist for the John W. Campbell Award for Best New Writer, and in 2010 received a Hugo nomination for Best Short Story. He's hard at work writing the latest in the ongoing adventures of the Amazing Conroy, a stage hypnotist traveling the galaxy in the company of Reggie, an alien buffalito that can eat anything and farts oxygen. To ask Lawrence M. Schoen questions, please sign up. Wonderful story! The future of future-sf.com looks promising :) On your website you mention "...a new series about lost cities and the advancement of human civilization". Can you update us on that? Lawrence M. Schoen It's in the works. Right now I'm splitting my time between what will be (I hope) a traditionally published new series (that's the one about lost…moreIt's in the works. Right now I'm splitting my time between what will be (I hope) a traditionally published new series (that's the one about lost cities) and several new projects that I'll be releasing via the Indie press. Current working title is The Lost City of Altinum, but who knows what it will be called when it comes out. I have the first book all mapped out and now I'm filling in the pieces. I was supposed to have a finished draft by the end of 2018, but that didn't happen. Maybe in another month? Then, once I have a draft, I'll tear into it from beginning to end, reworking the bits, fleshing out sensory details in the various chapters, making sure that continuity works as I'm juggling three main characters and another half dozen supporting characters. This series is going to be another set of books with multiple POVs (though I'm trying to limit it to no more than one per chapter). It will span at least four continents, and about six thousand years of human history. It will not be as literary/philosophical as my BARSK books, but won't be as light as my AMAZING CONROY books or the new, Indie projects I'm doing. I finished Moons of Barsk a little while back, and the ending implied at least a third book. Is a third book planned, and if so, on what sort of timetable is it expected to come out? I always intended this portion of the series to be a trilogy, and I have a third book outlined. Unfortunately, my publisher has expressed no interest in paying me to write that book. He has read 17 books toward his goal of 50 books. Lawrence Schoen has completed his goal of reading 50 books for the 2016 Reading Challenge! Check it out. ...more "
Lawrence Schoen has completed his goal of reading 50 books for the 2015 Reading Challenge! Which science fiction book would you like the group to read in April 2016? Lawrence, thank you for the friendship..
Hello Lawrence, it is a pleasure to meet you. If you ever have any questions about Harlequin or our books, please feel free to ask. Thanks for the friendvite, Lawrence! Happy reading and best of luck with your writing! Thanks for the friend request! I know, it's a hard question to answer! Looking forward to sharing books with you! Hi, Haylee. As a GoodReads Author, I just wanted to say "thank you" for being a GoodReads Librarian. Thanks for the friend request, Lawrence.